I wonder how many church leaders don’t even realize the success of ongoing discipleship depends partly on how well they develop leaders. God didn’t design the church to have one person lead everyone else in spiritual formation—far too often the model of evangelical churches. Throughout the New Testament, we see leadership development and delegation—or mass participation—of discipling others. Paul repeatedly told young pastors to entrust the ministry to spiritual people who could then pass it on to the next generation. I’m convinced one of the reasons we struggle with discipleship is because we aren’t raising up leaders to make more disciples. You don’t need a priest because you are a priest. Most people who are reading this are going to be Protestants of some variety. Protestantism was in part a rediscovery that individuals do not need a priest to communicate with God. This is a key theological issue. Peter wrote in 1 Peter 2:9 that we are a “royal priesthood” who are to proclaim the praises of Him who has called us out of darkness. We correctly assert that we don’t need another human as a priest for us to have access to God. Protestantism universally holds this axiom—it’s a defining biblical view. What’s interesting is that while it may be a universally held theological understanding, in practice most churches have a talented leader who explains the Bible. Otherwise, we can’t understand it. The congregants, who are supposedly priests themselves, end up asking this person what God is trying to say. Functionally, we have adopted a very non-Protestant idea of a priesthood, as if we can’t approach God ourselves. We function as if God’s people cannot engage God’s word. No Christian should think that. Oddly enough, this problem doesn’t just exist with Christians. Anthropologically speaking, religion is a universal constant. Every culture in the world developed with religion, and such religions tend to create rituals where they ceremonialize their religious obligation and hierarchies so they can outsource their religious obligation. The natural human experience is to turn your faith responsibility over to a ritual and religious hierarchy. I know those reading this are from different traditions. I’m not talking about the beauty of worship that can be in liturgical form. I’m not speaking against the biblical office of pastor. This topic is about the tendency in human nature to ritualize our devotion and look to religious hierarchies. We create rituals and priests, often so we don’t have to have personal devotion to, and a personal relationship with, the Lord. So we shouldn’t be surprised about the trajectory that churches tend to follow. I call that “clergification,” the point when acts of faith center on clergy. The problem is remarkably unbiblical. Some might say, “Well, I believe in clergy. I believe in biblical offices in the church, such as the distinct role of pastor.” That’s fine. Actually, so do I—but invariable someone reads into what I’ve written. Let’s try not to. Some denominations have what we call lower ecclesiology and liturgy (low church). Other denominations have a higher ecclesiology and liturgy (high church). Some with a high ecclesiology may believe pastors are necessary to partake in the sacraments. Others with a low ecclesiology may believe anyone can engage in these things together, under the auspices of a local church. If you are Lutheran, Baptist, Calvinist, or Pentecostal, you really do agree that clergification is a bad thing, even if you hold to the role, office, or function of a pastor (as I do). And, you really do think that the Protestant Reformation emphasis on direct access to God was just a reflection of the biblical teaching that Jesus is the one mediator between God and man. Regardless of where you come down on these issues, my guess is that if you were to think about it, you would agree that too much of the ministry and mission has been centralized around the clergy. Some would even agree that it is actually hindering the life and ministry of your church. Whether you’re a high-church Anglican or a low-church Brethren, and everything in-between, clergification has damaged all of us. This shift in missional responsibility causes clergy to become religious shopkeepers, providing the religious goods and services to the customers. These customers never get to the point where they serve as co-laborers. God did not plan for one person to disciple an entire church, and He didn’t design us to grow via mass discipleship. There are things that a good pastor can and should do and I will not list them all there. In the context of this article, a good pastor can lead a culture of discipleship. A healthy culture of discipleship recognizes that everyone is not only a priest, but also chosen and empowered by God to lead others into a deeper walk with Him. Being priests does not mean we can go the walk alone. We follow those who went before, and lead those coming behind. Others led us so that we could lead. This kind of leadership development does not occur in a culture of clergification. Because of that, many churches throughout the world are addressing the challenges it presents. There are plenty of hurdles impeding the discipleship process. But we don’t want just to point out challenges. Many like to point out the crises and sell books, but they don’t solve problems. So how do we move forward, if there’s a challenge, even a crisis, of discipleship and community in most churches? How do we move people from the crisis to actually some solutions? The research behind Transformational Groups, which I wrote with Eric Geiger, demonstrates that small groups are being effective. People will mature spiritually in small groups with personal, godly leadership. 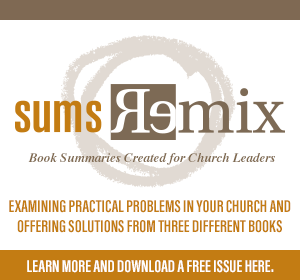 To experience effective group ministry there needs to be a de-clergification of the way you do church. This change will require the empowerment of a new band and breed of leaders throughout the church. Developed leadership differs from centralized leadership, but ultimately one of the keys to effective small-group ministry is going to be the development of leadership. We need to explore what leadership development looks like, and what kind of leaders help produce healthy group life in a church. Have you experienced the difference between centralized spirituality and leadership development models of discipleship? 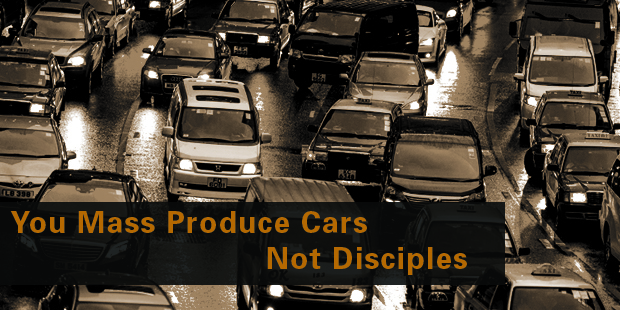 How would you characterize the kind of disciples they produce? What do you think keeps pastors from developing solid leaders so they can disciple others? 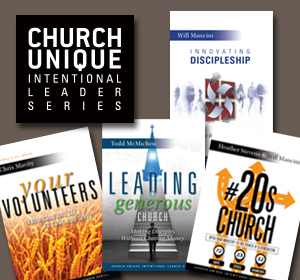 Would you like to learn more about the discipleship process for your church? Connect with an Auxano Navigator and start a conversation with our team. Priesthood of all believers....I believe it, but if its not, in your unhelpful words, the "talented leader who explains the Bible" who does? Who is explaining the bible to the priesthood? If its not the pastor, then fire him and hire the other guy.... You may answer, "the priesthood should be reading the bible for themselves"..."the priesthood is able to go directly to God"... TRUE, BUT many, including many clergy, aren't interested in God or if they are feel stupid that they cant read the bible or know how to see and hear from God for themselves thru his word. Where does that leave us? Who helps these people? Thats what discipleship is...clergy leading a deliberate pursuit of a few and helping them see God for themselves in scripture and see it transform their lives...and multiply into the lives of others. But you seem to argument against that..... 1. You hate Centralized Spirituality saying its Unhealthy: The big idea you seem to be driving at was the "de-centralizing" of clergies role while simultaneously asking for a discipleship system to be constructed....who is responsible to construct this system if not the clergy whom the church has entrusted with that role? 2. You dont think that "God planned for one person to disciple an entire church, and He didn’t design us to grow via mass discipleship." So if not one person ( a church that budgets for one pastor) or a staff of vocational pastors (a church that allocates rescues for multiple pastors) who drives this? of course there are other leaders but who is at the center? 3. Seems obvious, but you said Discipleship Thrives in Spiritual Small Groups...yes but how is this small group system managed? There is no way you say, just go do small groups and see what happens right? Study what you want, who cares who leads, who cares who comes, figure it out by yourself...youre a priest good luck! There is a checks and balances system that would be helpful right? There is support, there is direction....Who is the gatekeeper determining the quality of the group and supporting, encouraging and driving its health? all questions that I hope are helpful for the church, the article seems like its trying to give easy answers to an incredibly challenging idea. It seems to be attacking clergy rather than helping them see the enormity of what the people of God and God himself have entrusted to them. Help pastors step into the role of discipler, being supported by the elders, and investing their lives and conversations into helping people see God thru scripture deliberately and consistently...unwavering to any fad or program that may distract us.